Working against the timing clock, players in this fast action game need to re-build Zed The Zombie before he collapses again, spreading his ghostly pieces all over the floor! Zed stands 9” tall when complete with all his various body parts in the correct place. Designed for kids as young as four years old, hilarity and frustration are meted out in equal quantities as the timer soon counts down to the end. Zed The Zombie is great as a quick game for younger players to have a huge amount of fun and laughter. 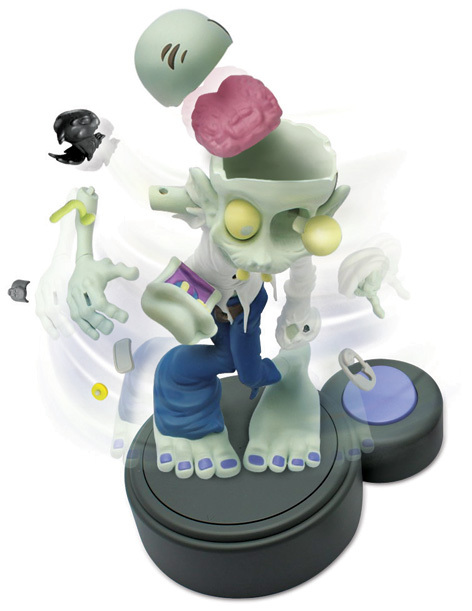 Please tell us what you think of Zed The Zombie.